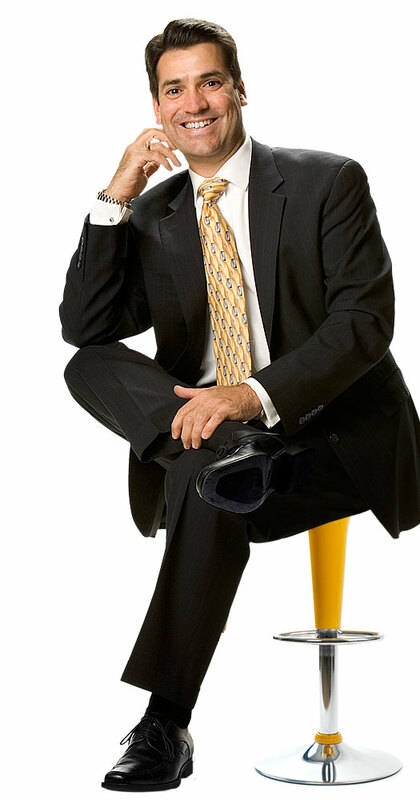 Robin C Johnston, Founder of Motivation Design Group & Fundraising Judo delivers training, executive coaching, and consulting services to non-profit leaders and their boards to help increase board engagement and raise more money. With experience in the enterprise applications software, logistics, financial services, and advertising & public relations industries, Robin also helps corporations implement marketing and sales strategies to gain more customers, more quickly, at less cost. All too often, organizations try to coerce their volunteers into raising funds from donors by brute force. Fundraising staff often feel there are no alternatives to cajoling, pleading, bribing or brow beating board members and other volunteers into raising funds. This traditional model is uncomfortable for both volunteers and donors, and typically produces suboptimal fundraising results. Enter Fundraising Judo. This innovative approach provides a framework for engaging volunteers and connecting with donors in a way that is easy and natural for them, and productive for the organizations they support. Fundraising Judo is a board maturity model, designed to strengthen boards by systematically guiding board members to greater levels of competence and confidence. This session introduces the Fundraising Judo concept, emphasizing the keys of passion, intrinsic motivation and alignment. Participants will learn how to align the interests of volunteers, donors and their organizations to achieve maximum fundraising success, while creating a more harmonious and productive fundraising relationship for everyone involved. 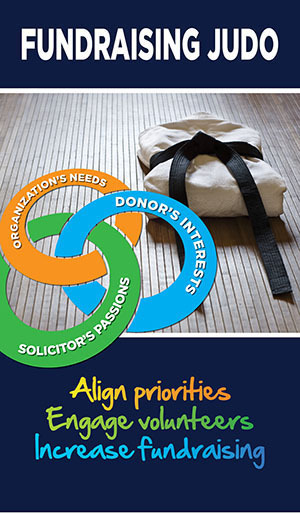 How the Fundraising Judo approach is more suitable for volunteer boards than the traditional fundraising model. What it means to have a AAA-rated board, and how to identify advancement activities that support board members to be productive contributors to your organization’s fundraising success. How to create and manage a board maturity model capable of supporting board members at all experience levels. Practical steps to help you increase donations by implementing Fundraising Judo in your own organization right away! Millennials – those born from 1981-1995 – will change the world as dramatically as the Baby Boomers. What are the implications for philanthropy and for volunteerism? This session will examine what makes Millennials different from and similar to their predecessors, and provide tips for engaging them as both donors and volunteers. This session is ideal for nonprofit development- and volunteer-oriented staff with any level of experience, as well as for board members. See the scope of the economic impact that Millennials will have on US consumerism and philanthropy, and come to understand Millennials’ financial values. Learn how to present their organizations better to encourage involvement of and investment from Millennials. Many new development officers wonder where to start first, when building an annual campaign from scratch. (Often, some of us who have been around the block could use some help!) This session introduces a framework for building a campaign to fit the culture and resources available at your organization. A system for tracking progress and measuring results. Oftentimes, what works at one organization just will not work at others. This unique session guarantees that you will come away with several ideas that will work for you. In sixty minutes, you will receive a brief synopsis of 30 successful fundraising ideas from development professionals at nonprofit organizations across the nation. For companies selling complex products, services represent a critical proportion of revenues and profits. Running the gamut from installation and data conversion to training and maintenance, an array of service possibilities are a practically inseparable part of the value equation. And yet, many vendors are decidedly unsophisticated in their approach to the services sale. If you offer services as a part of your solution, this session is for you. Attend and you will learn how and when during the sales cycle to begin the services sale. We’ll cover how to decide which business model – existing reps, a dedicated services sales team, or relying on professional services staff – is right for your particular situation. Finally, you will learn how to package services and how to maximize profitability using tiered offerings. How do you make sure that your web site works for you, and is not wasting valuable time and draining your resources? What are the fundamentals of marketing on the Internet? In this engaging and informative session you will learn the powerful, proven tools that successful companies use to execute their marketing strategies and reach their sales goals using the Internet. Are you being pulled in every direction by reps who beg for permission to give on-site demos to every prospect who asks? Are you frustrated by the endless stream of “looky-loo” prospects who demand demos but never buy? The old rule book has gone out the window in today’s cost-sensitive business environment. In the vast majority of cases, it’s simply not necessary to travel until the last very stages of the deal. In fact, many buyers may never need to meet you in person… ever! Most people want to help people. They really do. And this fact forms the basis for one of the most powerful and yet consistently under-utilized business development practices: Referral Marketing. Referred customers tend to be more loyal than customers that come to us from other sources. They also tend to make decisions more quickly, negotiate less, and buy more often and in larger quantities than other customers. Just as importantly, they tend to give more referrals! A continuous stream of new business is just as important to smaller firms as it is to industry giants. And yet, many small sales organizations struggle to create and manage a healthy sales pipeline. Some may invest in sales training, but precious few know how to systematically attract hot prospects or keep warm ones around long enough to win their business. In this seminar you will learn to create the sales & marketing machinery that keeps the revenue engine running. You’ll learn why business development is easier if you break the sales process into two key steps. Note: Order your copy of the Lead Generation Handbook today to find out how to implement the MACM Business Development Model in your business. Have you ever done something to “fix” one problem only to have something else emerge as an even greater challenge? Do you often wonder how to make the greatest impact in the least amount of time? Whether you’re developing corporate strategy, planning a marketing campaign, trying to engage stakeholders, or hoping to understand and influence office politics, Systems Thinking is a tool you can use. Systems Thinking helps you understand relationships so that you can make good decisions more consistently, predict the impact of your actions before they are implemented, and avoid short-term thinking that can create long-term problems. Learn how to build a more profitable business by introducing a customer rewards program for your customers. Loyal customers are easier to serve, willing to pay more, and create referrals for additional, also-profitable customers. In this session you will learn how to set up a low-cost reward program that will help you retain your best customers and encourage them to spend more money, more often. Find out how to calculate the value of a customer, how to maximize your earnings, and how you can begin to put a powerful rewards program in place right now! Does the thought of being stuck in a room full of strangers strike fear into your heart? If it does, you’re just like most people. Meeting and speaking to strangers – whether in small groups or to larger audiences – continues to rank number one on the list of greatest fears. Still, well-developed networking skills are essential to business and professional effectiveness. How do the best public sector organizations treat their customers? With tight budgets and few opportunities to add new staff, departments are under increasing pressure to achieve more with fewer resources. High customer satisfaction can help! Satisfied customers require less hand holding than do other customers. In addition, highly satisfied customers are more forgiving when delays and errors do occur. In this informative session you will learn powerful techniques for creating satisfied customers and improving department performance while adding to your know-how and employability. Simple methods of monitoring and improving on customer satisfaction scores. In the years since Michael Hammer and James Champy literally wrote the book on “Reengineering the Corporation,” much progress has been made in how businesses of all sizes review and improve their operations. In this session you will learn the difference between some of the most popular business process improvement methodologies, and understand how to determine which one to use in various situations. You will learn the components of planning an improvement project as well as the steps used in installing an improved process. Re-engineering, continuous improvement or benchmarking: which is right for your business? How to develop process maps. How are the best retailers attracting and retaining their customers during this tough economy? With tight budgets and increasing pressure to drive revenue and produce measurable results, marketers need to find ways to bring more customers to the store and encourage them to spend more money, more often. Learn the powerful, proven tools that successful retail managers are using to drive top-line revenue and bottom-line profits with limited budgets. What to do to turn your own employees into one of your greatest promotional assets. This Strategic Planning workshop series is intended for organizations that have become “stuck” in their growth. Through it, companies, departments or work-groups can assess their resources and evaluate their current situation, set priorities for accomplishment, and learn to implement an efficient marketing system to achieve their business development goals. The lead segment in the series is a fundamental starting point for reorganization within a corporate, departmental or work-group setting. The lack of a clear understanding of and appreciation for key contributors’ personal values, and the consideration of those values within high-performing teams prevents many organizations from achieving peak performance. In the first of two sessions in this segment, the personal values of individual team members are uncovered, discussed, and meshed together to form a group Values Statement. This is then considered through a comprehensive review and evaluation of the reorganizing entity’s current situation. The second segment in the series, Vision & Mission, begins by using the output from the Company Values & Current Situation Assessment sessions to develop a sketch of the ideal future situation. Groups then work through the process of planning an appropriate Mission, and uncovering and mitigating potential obstacles to its accomplishment. » Segment III – Values, Vision and Mission in Action! In this final segment, we will take the material developed in the first two segments and learn how to translate it into a tangible set of actionable business development activities. While it is possible that a number of tactics can be well defined during the session itself, the intention is that groups will allocate time and resources to complete a comprehensive business development plan after the series concludes. Robin Johnston motivates a wide range of audiences! Click here to read what clients who have benefited from his seminars, workshops and keynote addresses have to say about Robin.